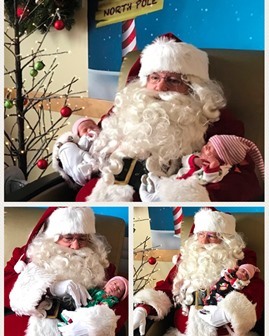 The Overlake NICU offers this photo op to NICU families during the holidays so they can still visit Santa while in our care. Ho, ho, ho! Three local television stations—KING, Q13 Fox and KOMO—covered Santa’s visit. See the clips here.